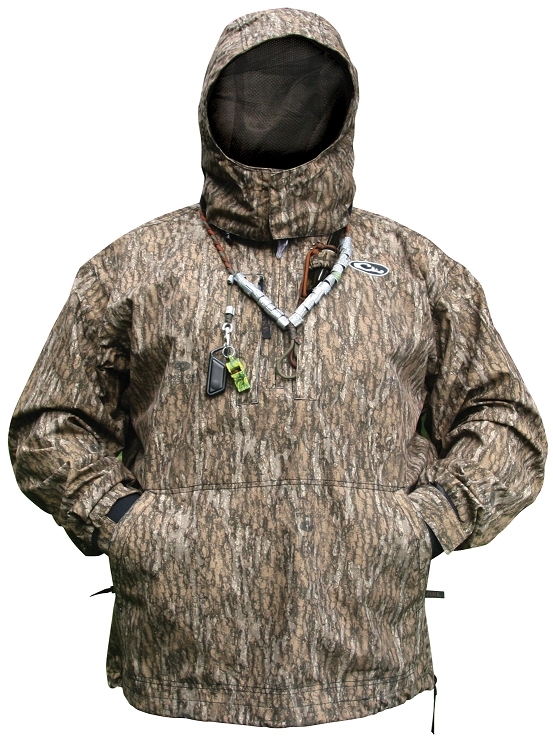 This Waterproof "Pullover" with Roll-up hood is an excellent piece of Rain Gear as well as a functional every day garment for the Early Season. With "Heat-Escape" Vents located in the most heat-sensitive areas, over-heating can be easily avoided. Neoprene cuffs to lock out the elements is a perfect touch on this perfect early season gear. A side zipper was added to make this pullover easy to... pull over.